When it comes to choosing your power tools for work, whether you work in landscaping, farming, construction or the arb industry, we know that some users have concerns about the performance of battery tools. Do battery-powered tools really have the power you need to get your job done? If you invest in the STIHL PRO Cordless System, the answer is yes! Our range of battery-powered tools offer petrol performance with all the benefits of cordless machines; lighter weight, lower vibrations, emission-free use and less noise. 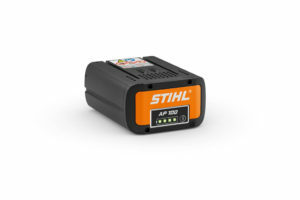 STIHL has a market-leading range of batteries with intelligent electronics and a huge range of battery-powered tools that offer top-of-class cutting performance. 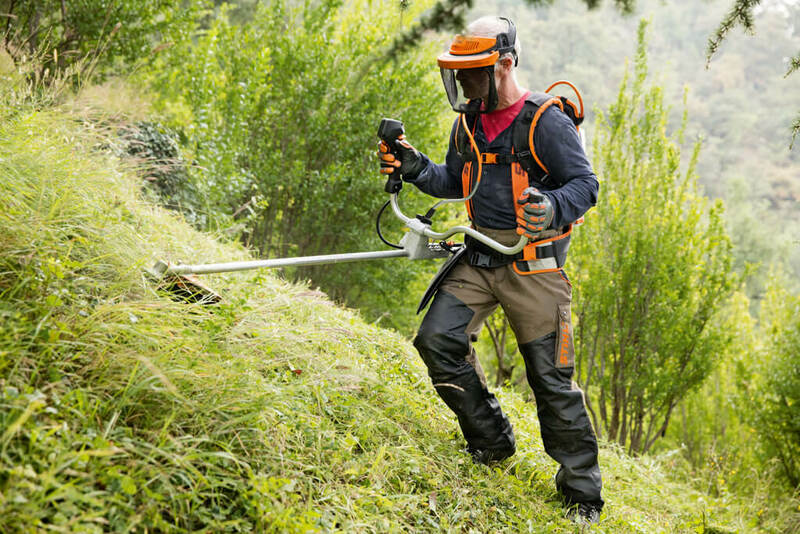 STIHL Lithium Ion PRO Cordless tools, such as our hedge trimmers, brushcutters,leaf blowers and more, can be used with our range of backpack batteries to offer seriously impressive run times. The HSA 94 Rand HSA 94 T hedgetrimmers have an adjustable blade speed, tough build and can either be connected to a backpack battery or to a standard battery held in a battery belt. With the AR 3000 backpack battery, both machines will run for an exceptional 700 minutes – that’s over 11 hours 30 minutes so definitely no need to worry about run time! The PRO cordless range also includes two brushcutters, which offer great performance with a low weight. The FSA 130 with a bike handle and the FSA 130 R loop handle use the same cutting heads as their petrol equivalents delivering an equivalent cutting performance without the noise, so no ear defenders are required. And for clearing up, the BGA 100 offers the same blowing power as the petrol BR 350 backpack blower, so there are no excuses for not tidying up afterwards! In spring, we also launched the new KMA 130 R cordless KombiEngine, which can be used to power all the existing Kombi attachments (with the exception of the FSB-KM bent shaft grass trimmer). The typical Kombi tools such as the hedge trimmer, pole pruner, blower, edger, grass trimmer, all work in perfect harmony with the intelligent KMA 130 which can be adjusted, like the other PRO tools, to offer 3 performance levels so you can optimise battery life on the easier jobs or go for full power on the tough jobs. You don’t just have to use backpack batteries to power the STIHL tools though. Selected machines in the PRO cordless range are designed to house our AP batteries in the tool themselves, but even these products are flexible – the AP batteries can also be mounted on a battery belt, or in a rucksack. Both options lighten the load on you whilst you are working and make the tools much easier to handle. And if you need the extra run time, then you can even run these tools with a backpack battery by slotting in our AP adapter. 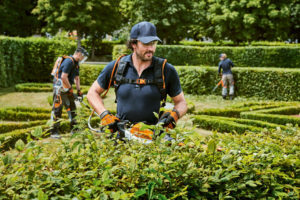 There are over 25 tools to choose from in the STIHL Lithium Ion PRO Cordless range from long reach hedge trimmers to chainsaws to cut-off saws. So whether you need a powerful hedge trimmer for all-day cutting or quiet, yet powerful, blower for use in noise-sensitive areas, there’s a battery-powered STIHL tool for the task at hand. Take a closer look at our range of battery solutions here. Running the new MSA 161T at the moment as well as a hedge cutter on AP 300’s and looking to add to the collection at the APF later this month, impressed so far! Great to hear Dave! 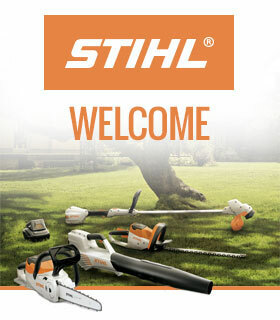 Come along and check out the STIHL demo area at APF – the cordless pole pruners will be there too!